Smart home technology is ubiquitous nowadays. An estimated one-third of American households now boast connected appliances, voice assistants, and other artificial intelligence-infused digital innovations, per research from Growth from Knowledge (GfK). These tools, which belong in the ever-growing Internet of Things category, make life easier, allowing families to automate some of the backend processes that characterize everyday existence. The mass adoption of IoT smart home technology is also benefiting businesses, many of which have realized they can easily connect with consumers through the seamless communication channels these innovations support. Field service organizations are among the enterprises capable of interacting with customers in this manner, but relatively few have actually pursued smart home integration. Why? Field service directors are either reticent to take advantage of the technology or they’re unsure how to proceed. 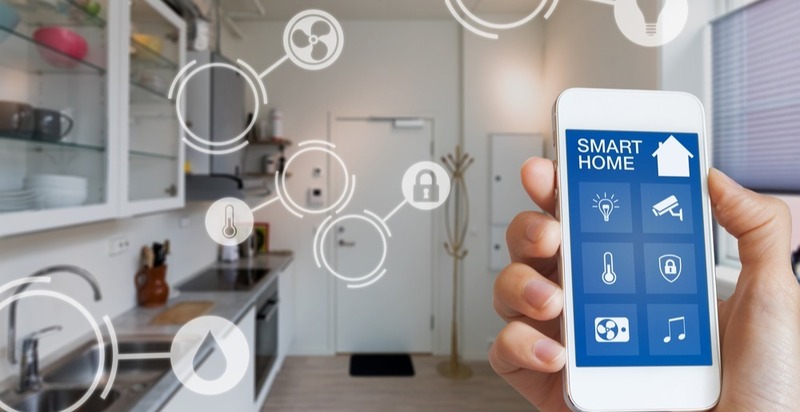 Fortunately, there are some tried-and-true actions these industry stakeholders can take to achieve integration and ride the smart home technology wave to success. Read on to learn more about four of those proven strategies. Almost 90 percent of modern field service businesses have distributed IoT technology to technicians, according to a report from the Field Service conference. These technical specialists can access fairly robust scheduling and work order management features that streamline operations and boost customer satisfaction. And 46 percent can leverage up-selling components to sign customers up for additional offerings at the point of service. However, simply handing out devices equipped with field service management software is not enough. Technicians need hardware and software that can effectively connect with customer devices and deliver the necessary data. Ideally, field service directors should provide easy-to-use assets that feature FSM software centered on REST API technology. This allows technicians to ping smart home technology and get the information they require. While connecting directly to IoT smart home technology can streamline operations, harvesting the data and deploying any available technician is an ineffective strategy, as field specialist skill gaps can erase first-time-fix improvements and lay the groundwork for customer satisfaction issues. This is why field service directors embracing smart home integration must pair pinged devices with the technicians who can effectively service them. Fortunately, half of these stakeholders are currently overseeing workforce development initiatives, per the Service Council, meaning they could easily cultivate IoT-savvy technicians capable of addressing smart home technologies. Despite the emergence of sophisticated FSM solutions and other advanced tools like field service mobile apps, Field Service News analysts discovered that almost half of the organizations navigating the industry still depend on manual processes of some kind.These antiquated methods not only hamstring operations and hurt service quality but also hinder technological growth. The latest field service software and hardware generates return on investment only when coupled with comparable processes. FSM-propelled automated workflows are ideal for IoT smart home technology, as they seamlessly send data to and receive data from external customer devices. These capabilities, achieved through IoT smart home adoption and process automation, can transform field service operations. Field service directors must therefore swap manual backend workflows for automated iterations that work in tandem with the latest technology. Many modern field service businesses struggle with data management. In fact, more than 40 percent of these organizations are working to improve their information oversight practices, per the Service Council. This is certainly a positive development, considering the importance of data aggregation as it relates to IoT smart home integration. Field service businesses connecting to numerous internal and external devices must be able to manage the information these instruments produce through unified systems. Without this brand of large-scale aggregation, companies in the space will find themselves ill-prepared to handle the massive amounts of data that come with IoT smart home integration, should they go down this route. Field service directors intent on embracing this technology should support aggregation through the implementation of FSM software designed to catalyze favorable service outcomes in the IoT era. Together, these strategies can help field service directors lay the foundation for successful IoT smart home integration and the operational transformation that follows. Here at ServicePower, we help field service businesses of all sizes deploy FSM solutions that can integrate with the latest intelligent home technology and lay the groundwork for operational change and associated revenue generation. For this reason, some of the largest, most respected companies worldwide, including GE Appliances, LG, Electrolux, Allstate, and Siemens, trust us to deliver field service management solutions that can catalyze real results. Connect with us today to learn more about our work. Take the first step to help your field service business ride the IoT smart home technology wave.